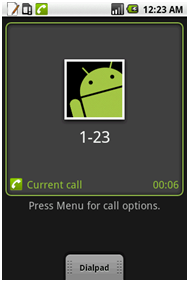 A very basic feature that I was missing in my Android phone is the ability to save a number while I'm in a call. Sure you can go to the home screen, and open up any app with a textbox, but I decided to create a dedicated application. 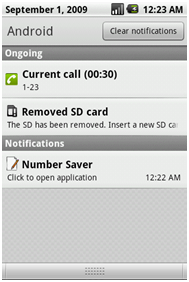 Also, during an active call you will notice the note and pencil icon. 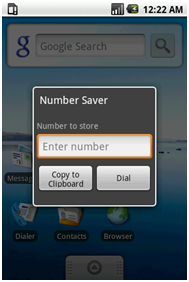 Stretching the notification area will give you the option to launch the application.